The son of late Osama Bin Laden, Hamza Bin Laden, is expected to take-over terrorist organization, Al-Qaeda. Hamza Laden, who is regarded as the “poster boy” of al-Qaeda’s re-emergence on the terrorism front and described as the “Crown Prince of Terror, is the only son of Bin Laden’s “favourite” wife. The now 28 year old, was introduced as “a lion from the den of Al-Qaeda” by the group’s leader Ayman al-Zawahiri. 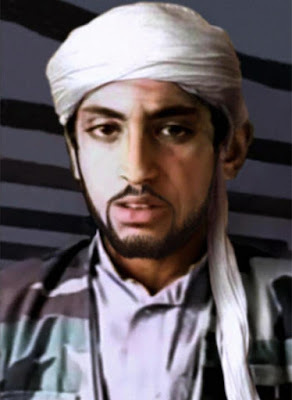 He is the son of Bin Laden’s third of six wives, Khairiah Sabar, and the eighth born of around 20 Bin Laden siblings. His mother came from a wealthy family and was known as a “strong-willed” woman. He was raised as Bin Laden’s designated heir and grew up hating several things about the USA. He is wanted by the US for his alleged role in American embassy bombings in Tanzania, Dar es Salaam and Nairobi, Kenya in 1998.